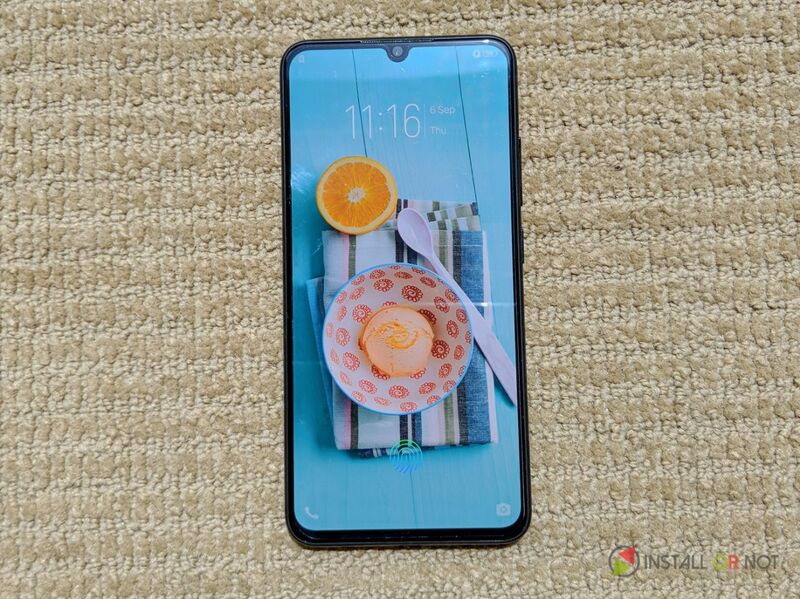 Vivo has owned the under 30k segment market for a while now but with Vivo V11 Pro, they have set new standards for the under 30k category with its top of the line features. 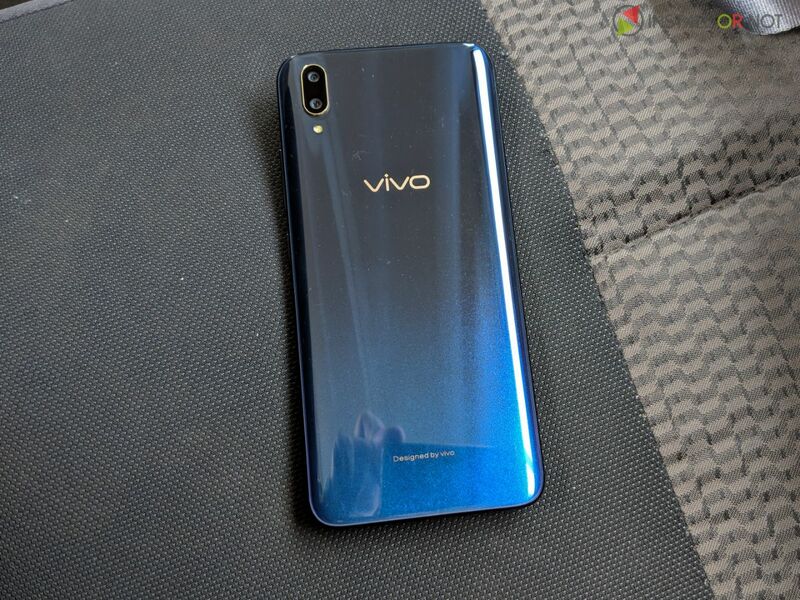 The coveted in-display fingerprint is now available in this price category with the introduction of Vivo V11 Pro. Besides the feature-rich phone, the device also houses a quality camera, capable chipset and stunning body design. 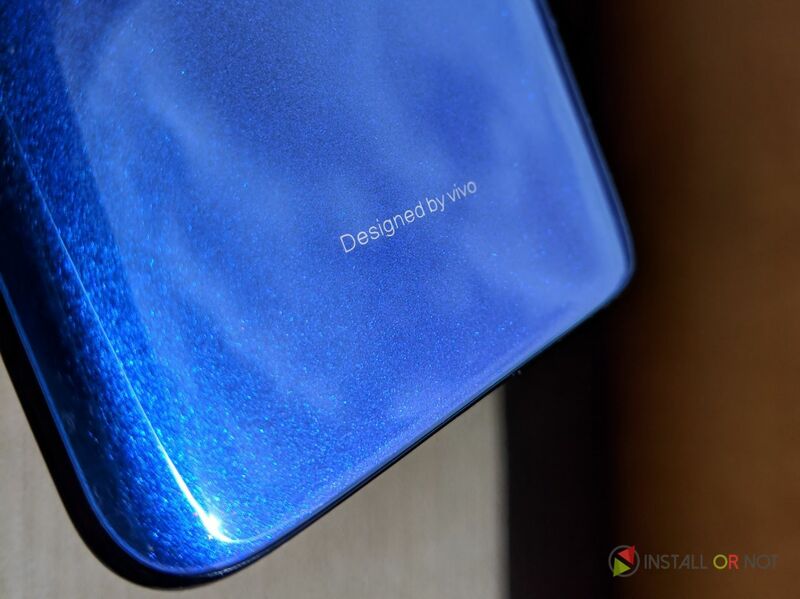 The Vivo V11 Pro belongs in the flagship category (although, it’s not!) with its offerings to the user. 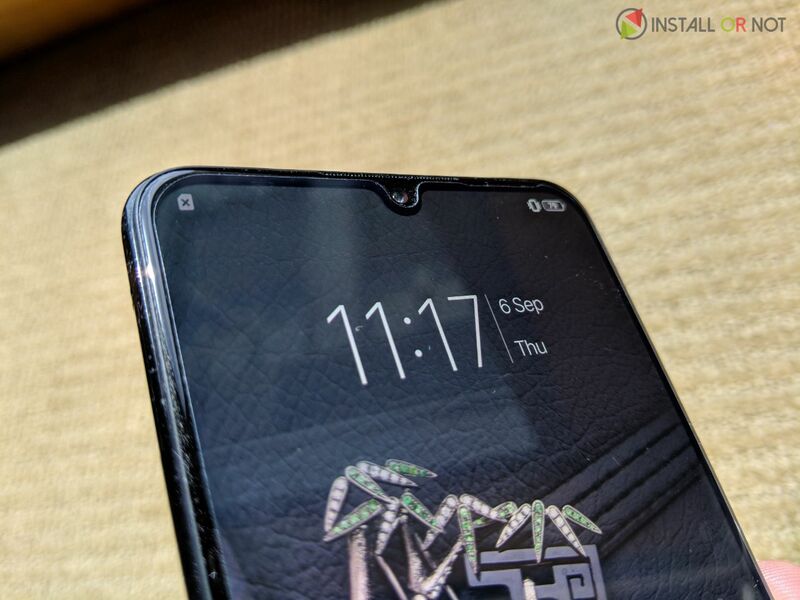 Let’s start with the aesthetical part of the smartphone, the glass body is arguably the favourite amongst premium smartphones these days but Vivo added its own sense of style to it. The 6.41″ Super AMOLED display is huge, but thanks to the thin bezels – the phone doesn’t feel like a brick. 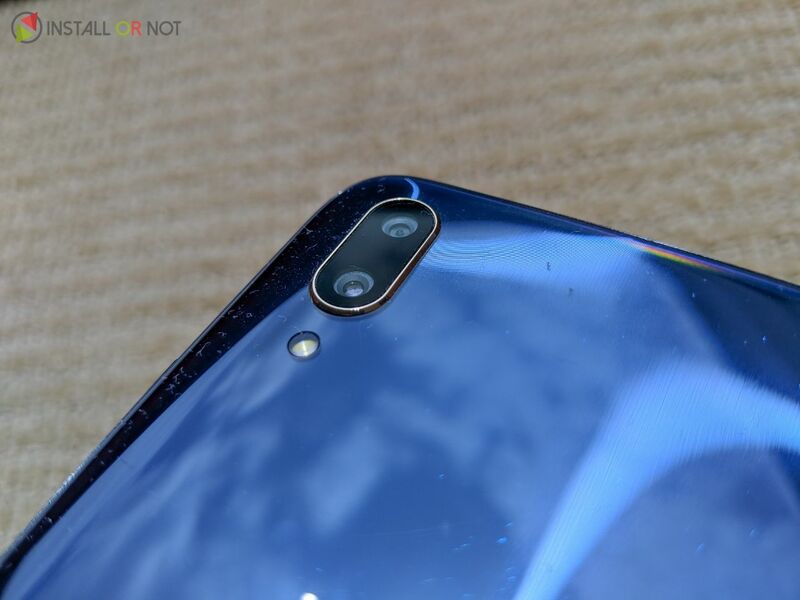 The Halo Full View DIsplay notch on top accommodates the 25MP selfie camera and nothing else, adding a sense of style to the smartphone. The Vivo V11 Pro comes with the 4th generation In-Display Fingerprint Scanner eliminating the role of a visible fingerprint pad resulting in a seamless design, effortless unlocking and a futuristic look. 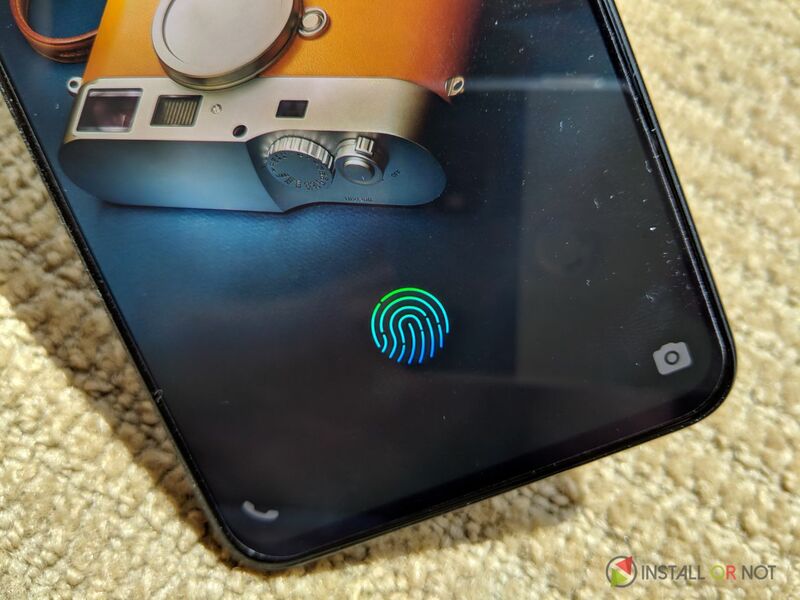 Vivo is actively partaking in the process of creating ever better technology and hence, the in-display fingerprint is in its fourth generation making the optical scanner more secure, accurate and faster than previous generations. The smartphone is equipped with an IR face unlock module, which can unlock the phone even in low light conditions. The Vivo V11 Pro is equipped with Jovi assistant which you can use to your advantage. To access the Jovi feed page, swipe left from the home screen. Here you can add shortcuts of the apps you use most often, check weather updates and more. Vivo’s Jovi assistant has been designed to learn from the everyday usage and suggest apps and tasks accordingly. It truly adapts to you in a manner of a personal assistant. The Vivo V11 Pro doesn’t lag while running the most demanding applications with its Qualcomm Snapdragon 660AIE (artificial intelligence engine) processor, as it ensures that the phone stays fast even while working on heavy applications. An upgraded version of the original Snapdragon 660, it allows for AI to kick in and aid in several situations like conserving battery, clicking images or recording videos. The AI chipset enables the phone to offer AI features at both the software and hardware level. The processor comes with a die size of 14nm and Kryo 260 cores, which results in a superior performance, with equally good battery efficiency. The SoC is further backed by 6GB RAM, which lets you open multiple apps without wondering if they are running in the background. The Vivo’s tagline, ‘Perfect Shot Perfect Moment’ has been captured beautifully in Vivo V11 Pro. Powered by the 2PD technology, the rear camera captures images with superior details and improved focus speed. The AI face shaping technology enhances the facial features to provide the best camera technology for its users. The Vivo V11 Pro is armed with AI Backlight HDR technology to ensure users are able to capture perfectly exposed shots. For low-light shots, the V11 Pro has a new AI Low Light Mode algorithm that captures up to six images and intelligently combines them into one, delivering a more impressive result. The 1.28um pixel size and the large f/1.8 aperture also helps with low-light sensitivity. The front of the smartphone houses a 25MP front shooter and it is going to be more than adequate to product rich-quality selfies. The Vivo V11 Pro flaunts a dual camera module on the rear, featuring a 12-megapixel f/1.8 camera backed by a 5-megapixel f/2.4 secondary shooter. Here are some of the camera samples captured through the lens of Vivo V11 Pro smartphone. The Vivo V11 Pro is the amalgamation of Vivo’s groundbreaking research into a phone that is priced right but also includes some cutting-edge features. The V11 Pro is a beast in performance, has great camera modules with AI integration, a Super AMOLED display, and an in-display fingerprint sensor and on our opinion is worthy of the asking price of INR 25,990 considering the specifications and the features that this device offers.